A rewarding way to give back and stay directly involved in the game. A way to keep yourself active and in shape. An opportunity to lead and embody important life skills such as organization, time management, work ethic, and people skills. An opportunity to be a respected community leader through soccer. Potential to advance to National Coaching levels or beyond. A part time job for the serious coach. A career fo the aspiring coach. 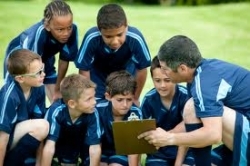 SKILLFULLY TRAIN, DEVELOP, QUALIFY, & SUPPORT MORE COACHES TO BE SKILLFUL TEACHERS OF THE GAME. 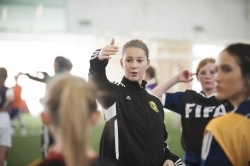 By getting into coaching you are taking part in an exciting period as the future technical direction within Canada takes shape. Long-Term Player Development (LTPD) provides the framework for coaches to work together following consistent pathways and methods that put players first.